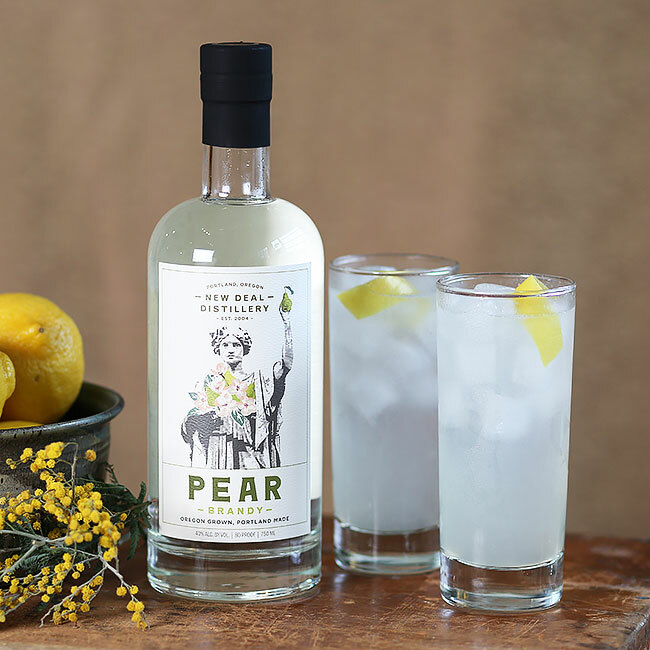 An aromatic spin on the classic Tom Collins made with our Pear Brandy featuring estate grown Bartlett aka William pears. In a Collins glass combine pear brandy, lemon juice, and simple syrup. Add ice, top with soda, and garnish with a lemon peel.